RW, the Wikipedia article on NAP shows 6 justifications, natural rights being one of them. I'm sure you have an article describing yours, and a link to it would be appreciated. Actually, its full delineation will be in my forthcoming book, Foundations of Private Property Theory. Hayek, as the quote at the start to this chapter reveals, considered the consistent application of subjectivism in economic theory extremely important. Could subjectivism applied to social theory in general be as important? Is it possible that those attempting to find objective laws, natural or utilitarian, that apply to all, are barking up the wrong tree, so to speak? Is it possible to argue that a societal structure could be developed that does not seek out grand objective laws that apply to everyone? Is it possible that a society could be formed where individuals, in subjective manner, set their own rules? Bottom line : Can we apply subjectivism to the theory of civil society to advance the notion that a society based on the recognition of the subjective desires of individuals is the best society for most? It is the individualist-subjective case for a private property society and the non-aggression principle. The problem with natural rights theory and utilitarian theory is that they both attempt to impose order with shaky so-called objective justification That is, in some manner, rules are created that it is claimed are objective and therefore must be obeyed by all. But because we all have our own subjective values, we most certainly will not be happy with all the rules imposed on us by others. Coercion will be the result to keep us in line with whatever rules are set by whatever ruling body, a congress, a parliament, a direct majority rule society, a king, a dictator etc. Some societies with a governing body may be less oppressive than others but the fundamental foundation of a society with a governing body that sets rules is some type of oppression of the individual to the demands of the rule makers. Is there away to get around this problem? The answer is yes, if we begin to understand that we all live on this tiny planet together and there are only two ways to go about surviving with the other roughly 7.5 billion people on this planet. We can either act like complete thugs and fight and steal to get what we want or we can enter into exchange and co-operation. If we go the thuggish route, there are a few problems. Others are going to fight back. Others will hide what they have in their possession and others are not going to willingly co-operate with us. On the other hand, if we come with goods and services and offer them in exchange for other goods and services, we will generally be welcome with open arms. Less battles, more goods and services. This is the route most of us haven chosen. Indeed, it is because of the decision of most to co-operate that we have a vast complex economy that makes available all sorts of things. But once we have made things and have acquired things in exchange, we will want to store them some place nearby where we lay our head to sleep. This presents us with a second problem. Do we really want to lug things around and lay them down in a different place every night or would it be better to find a place where we could store things that we could return to every evening? It would allow us the ability to control more than what we can just carry and free us from lugging things around all day. And thus a Private Property Society is born. 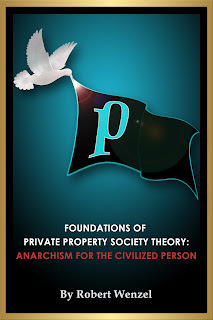 I see the non-aggression principle as a subset of the Private Property Society principle. In the same way that I don't want others messing with my property (land and otherwise), I prefer a society where the non-aggression principle is generally observed, not becasue it is a natural right, or "good" from a general utilitarian perspective but because this kind of society will be the best for me as an individual and I expect that it would be such for most others, thus the grounds to agree to a society where private property and the non-aggression principle are adopted. I think "Self-ownership" is a better axiom. 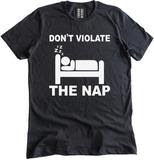 You can derive the NAP from self-ownership but not necessarily vice versa. People can contest the nap by arguing over the definition of aggression, but self-ownership can only he countered by propos8ng that someone else owns you. Well, I'm sure letting in more Afghani Muslim goat humpers, low IQ Muslim Somalis, more mestizos and ignorant left wingers to the south of us would lead to the above. I'm sure they all have a great grasp of NAP private property which is why they are not staying in their crap countries. "Is it possible to argue that a societal structure could be developed that does not seek out grand objective laws that apply to everyone? Is it possible that a society could be formed where individuals, in subjective manner, set their own rules?" Define "my property" and "their property". How does it come about. On what basis? Objective truths: 1) we all live on this tiny planet together; 2) there are only two ways to go about surviving with the other roughly 7.5 billion people on this planet. Physics, along with every other science, is the pursuit of objective truth. It is accomplished by observation, to determine what theories comport with the evidence at hand. The same is true of natural (as opposed to physical) law, which seeks to understand social truths. By what can the evidence be measured? By what leads to the fullest degree of human satisfaction: maximum of liberty for every individual, along with peaceful coexistence between individuals. Subjectivism in the case of economics and other social sciences is about the human person being a subject, not an object. So far I agree with you. But this does not mean that all subjective choices are of equal value. If one person's subjective choice is to take the path of the thug, the murderer, the thief, is he beyond criticism or even sanction? If the thug attacks not me but another near me, am I free to do nothing? 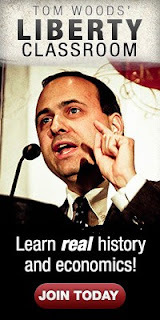 You call natural rights a "shaky so-called objective justification". I would agree, insofar as all scientific proof is only as solid as what the current evidence supports. Still, do we question the fundamental objective truths of physics (e.g., the effects of gravity) as they relate to day-to-day reality? The objective truth of the NAP is that it allows me to act upon another subject who may not only disagree with my wish to be left alone but act on that view. While as a subject (not an object) the thug may choose to aggress against me, I have the right to respond with commensurate force. That is objectively true. The evil of the state is that it grants some individuals rights that are not common to all. This is the defining truth of all rulers. They "tax", which means theft for all others. They engage in "war", murder for all others. Peaceful society can only exist when the basic rights consistent with human nature (life, liberty, property) apply to all. If there are no rulers, no one has impunity to aggress. Is it objectively true that humans must survive? Is it objectively true that the "good" is defined by the most human satisfaction possible? By what measure? Is it objectively true that peaceful society and human life must take place or is a "worthy" goal? What does "worthy" mean? If none of those can be answered with objectively true statement, then "natural rights" are on a thin reed, indeed.